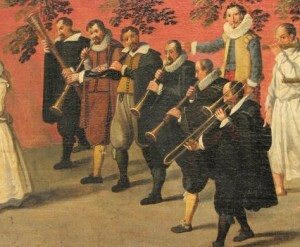 A programme dedicated to the repertoire of 16th century wind bands of the type that were employed by cities throughout Europe and the New World. Their duties would range from performing in celebrations, festival parades, royal visits, civic weddings or baptisms, participation in church services etc. 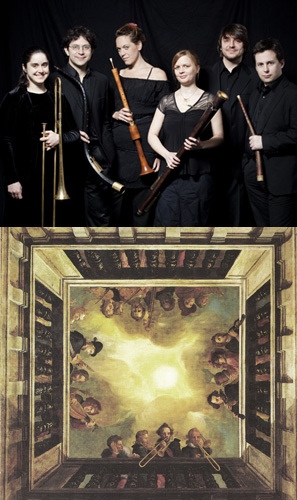 The programme focusses on the performing of vocal polyphony on wind instruments, which was very likely to be an important part of the repertoire of those groups. The interpretation follows the text and the vocal performance practice (and therefore the instrumental one) of the time, such as adding diminutions (embellishments). G.P. Da Palestrina, G. Gabrieli a.o.